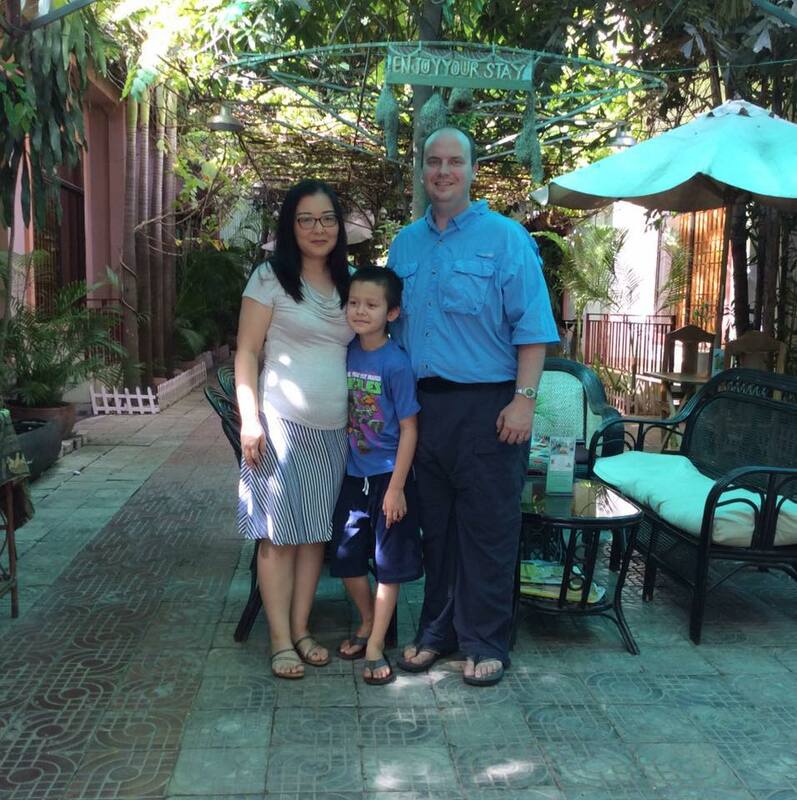 We arrived in Cambodia on June 2 and God has been faithful to us. We have been able to reconnect with our ministry partners. Darryl has been working on producing a video in Khmer and English entitled, The Bible and Archaeology. He is also writing and revising other video scripts for future projects and some blog posts as well. The website, www.internationalfishers.com is ministering to Cambodians in Cambodia and in the USA as well. Around 288 people visit the website each week. This is an encouraging number considering our eleven month sabbatical. God has provided a safe comfortable apartment for us and a car. Kayo will return to worship team and other ministries in the coming weeks. Right now she is busy getting us settled in our new place. Benjamin was able to reconnect with his classmates at Hope International School. He will be a third grader there in the fall. He finished his home schooling so now he is on summer vacation. He enjoys reading and listening to audiobooks. Please continue to pray for health and strength for us as we resume our ministries and explore what God has for us in this new chapter of ministry in Cambodia.